The 12th annual Sterling Stage Folkfest lineup will include the John Kadlecik Band, Cornmeal and Saranac Lake’s Blind Owl Band. Folkfest returns to Sterling Stage Kampitheater over Memorial Day weekend, May 26 to 29. 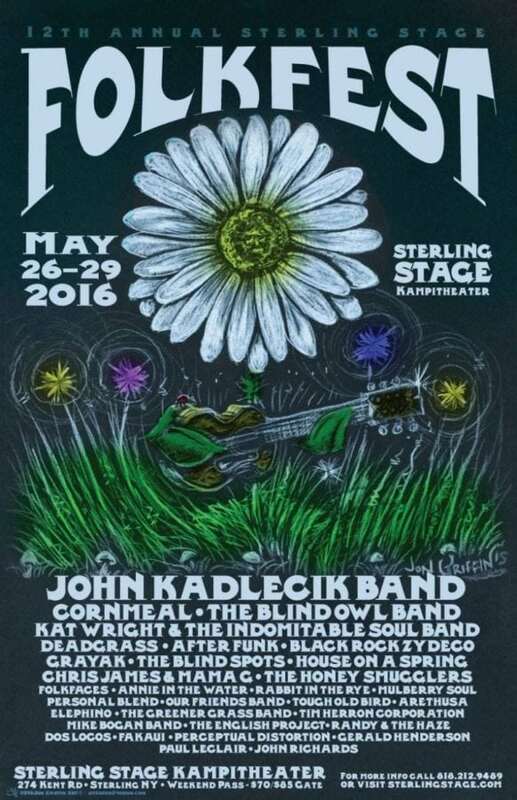 The John Kadlecik Band, led by the former Dark Star Orchestra and Furthur guitarist, headlines May 28 with two sets. Chicago’s bluegrass band Cornmeal headlines May 29 with two sets. Syracuse’s Grayak co-headlines May 27 with the Blind Owl Band, who will also play a late set on May 29. Other big names include Burlington, Vermont’s Kat Wright and the Indomitable Soul Band and Toronto’s After Funk. New York City’s Deadgrass plays an acoustic tribute to the music of Jerry Garcia and the Grateful Dead. 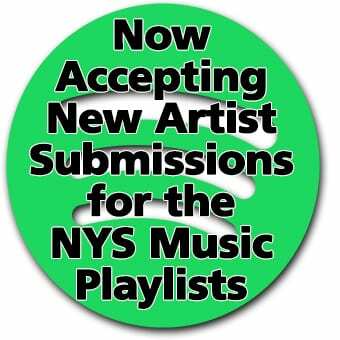 Other notable New York acts Black Rock Zydeco from Buffalo, Ithaca’s the Blind Spots, Oswego’s House on a Spring and Rochester’s the Honey Smugglers. Tickets are on sale now for $70. They can also be purchased at the gate for $85. All tickets include on site tent camping.